The latest from director Yorgos Lanthimos, The Killing of a Sacred Deer follows Steven Murphy (Colin Farrell), a cardiac surgeon who strikes up a strange friendship with an offbeat teen named Martin (Barry Keoghan), but things start to go horribly wrong when he brings the troubled teen home to meet his wife (Nicole Kidman) and their two kids (Raffey Cassidy and Sunny Suljic). 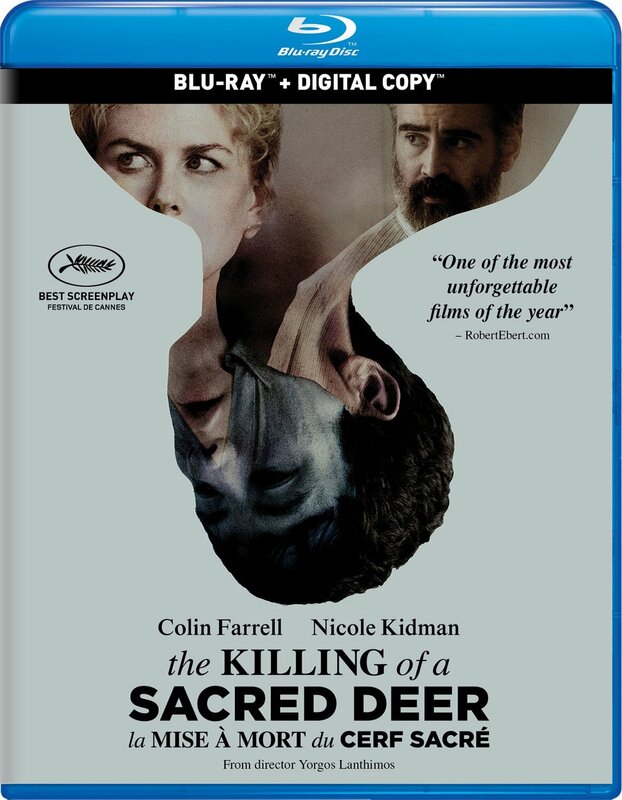 Although The Killing of a Sacred Deer has certainly proven to be divisive, this is one of the most unnerving and strangely compelling films that I saw last year. It moves at a deliberate pace that maintains a steady sense of suspense, carried by perfectly pitched work by Colin Farrell and Barry Keoghan, and punctuated with moments of dark humour. You can read my full review of the film right here. The Blu-ray includes no bonus features, but does come with a digital copy of the film. The Killing of a Sacred Deer is an Elevation Pictures release. It’s 121 minutes and rated 18A.